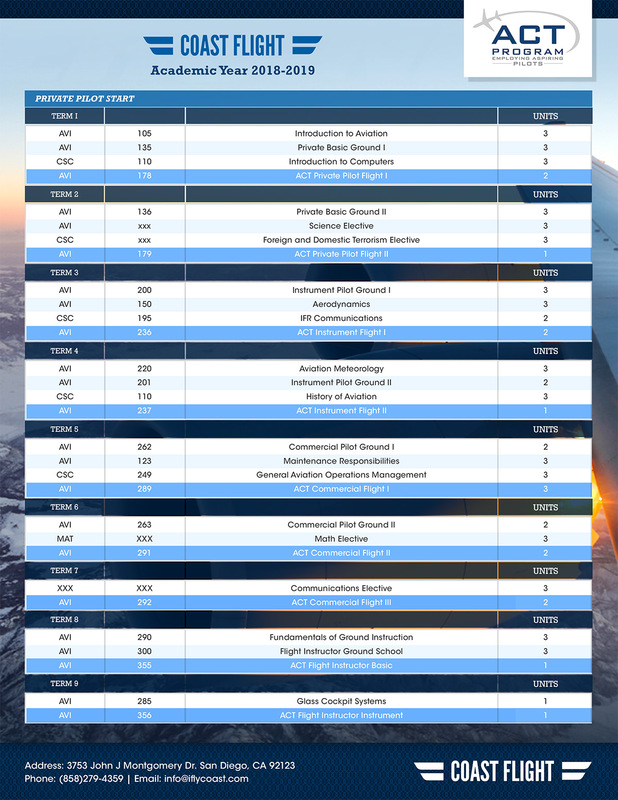 If you are not sure how to become a pilot take a look at our Airline Direct program. It is the quickest and most cost efficient way to become a pilot for commercial airlines. You'll still receive the world class training that Coast provides for all of its students, but on a fast track pace that can be more than 2 times faster than the ACT Program. Within 9 months you can be employed making the Airline Direct Program the quickest way to the commercial pilot industry. Because there isn't a college degree included, you can spend time focused on solely what you came for - the flight training itself. "QUICKEST TO INDUSTRY WITH EMPLOYMENT IN JUST 9 MONTHS"
When you want to pursue a career as a commercial airline pilot, it’s important to train right. At Coast, our Airline Career Training (ACT) and Airline Direct (AD) programs offer a clear and distinct path to the Captain's seat. 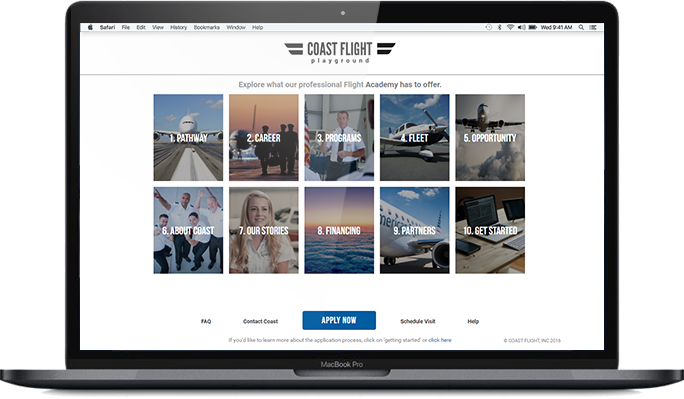 Our airline partnerships and years of experience training people how to become a pilots for the airlines means that Coast students get the distinction of being awarded the largest number of conditional job offers for airline pilots in the nation. Pick your pace, earn your degree, and make your way to a career in the skies. 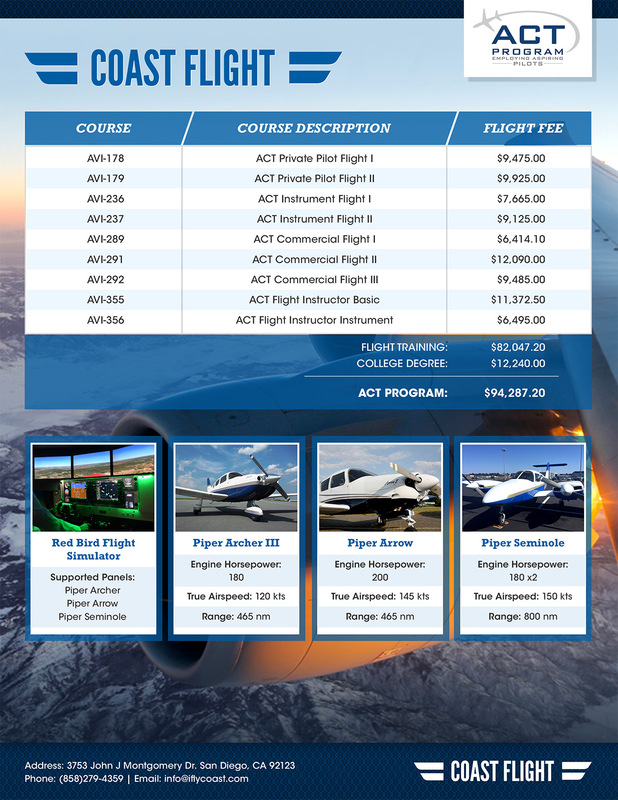 At Coast Flight Training our students have access to various forms of financial assistance while learning to become commercial pilots. Students enrolled in the ACT Program through Indian Hills Community College may qualify for both subsidized and unsubsidized aid including; Pell Grants, Sallie Mae and Private Loans.